Many thanks to The Embassy Tea Gallery for hosting the 353 portraits for our 2015 exhibition from 18th-22nd November. Please find some images of our exhibition below for those of you that couldn’t make it. A big thanks to all who came to our exhibition at The Embassy Tea Gallery last week. We’re very pleased that 570 people voted for their favourite portraits at the exhibition and you can see the results below. We exhibited 353 portraits and our 2015 DIY sticker book publication is available to purchase here. We’d also like to thank Miniclick for teaming up with us for I / Land at the gallery on Saturday & all the people who came to make their own zines. We were also pleased to be called the ‘Rogue Gallery’ by Jonathan Jones in The Guardian on 17.11.15. 1st place went to Alan Powdrill who won a day’s retouching at Stanley’s Post. 2nd place went to Julia Fullerton-Batten who won a bespoke 1-1 session with Metro Imaging. 3rd place went to Phil Sharp who won a portfolio review with Lucid Representation. 4th place went to Matt MacPake who won a career advice session with Creative Advice Network. If you didn’t pick up your prints last weekend at the gallery then your prints are now ready for collection from Stanley’s Post, 30-32 Neal Street, London, WC2H 9PS. The opening hours are 9.00am to 5.30pm and the contact there is Tash. The deadline for collecting your work is 5.30pm on Monday 30th November. Unfortunately work not collected after this date will have to be destroyed. Please note Stanley’s Post are not able to post work back to you – if you want work posted/sent by courier you will have to arrange this. 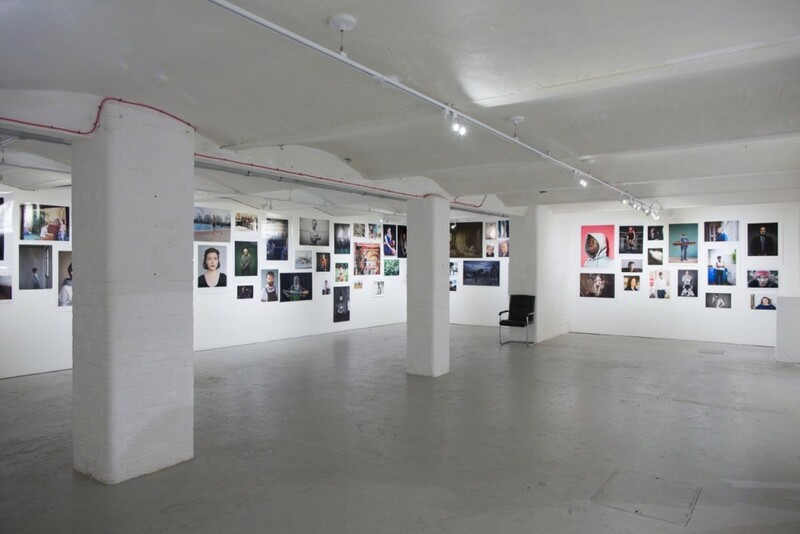 And the next stop for Portrait Salon is in February 2016. The entire Portrait Salon selection will travel to The Reminders Photography Stronghold Gallery in Tokyo where it will be part of a project called ‘I / Land’ in association with Miniclick and photography curator and editor Yumi Goto. Thanks again for taking part in Portrait Salon and a huge thanks to all our sponsors for making Portrait Salon possible. They are Metro Imaging, Stanley’s Post, Lucid Rep, HERO, Creative Advice Network & Calumet. We’d like to thank everyone who entered Portrait Salon 2015 and hope you can join us at 6.30 pm on Thursday 19th November at The Embassy Tea Gallery in London. Please find all the details of our exhibitions and events below – come and celebrate the rejected!